On a recent trip to Dublin, my husband and I paid a visit to Trinity College and was able to spend time in the long room of the historic library. When I entered the library, I was immediately struck by it’s grandeur. The room featured floor to ceiling book shelves made of beautiful dark wood and an impressive valuated ceiling. 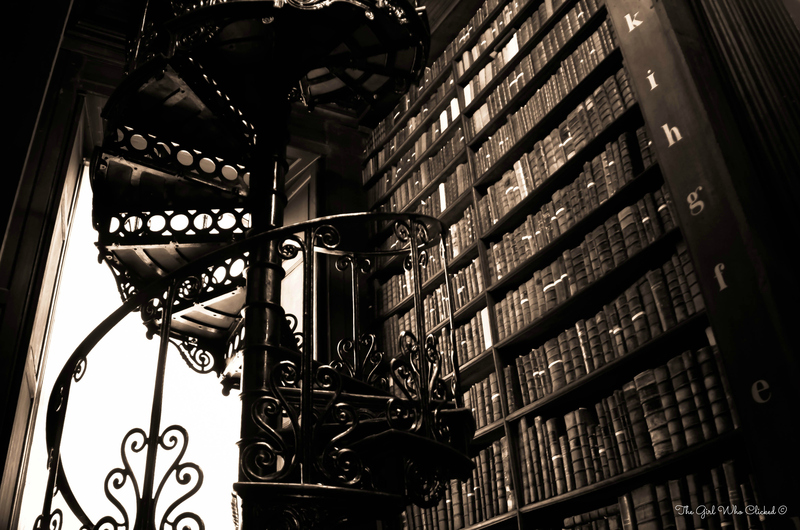 The library dates back to the 1700’s and has a collection of some pretty significant books and articles (the Book of Kells and the 1916 Proclamation of the Irish Republic). The most interesting fact we learned about the library is that the books are not in alphabetical order. Instead, the books are chronicled by size on the shelves with large books on the bottom and small books at the top. The Trinity College Library was one of our favorite historical sites in Dublin!